March 6-9, 2017, will see the Asia-Pacific Broadcasting Union hold its annual Digital Broadcasting Symposium at The Royale Chulan Kuala Lumpur, and Sofia Digital will be there (Booth 22). At ABU Sofia Digital is presenting real-life case examples from Europe, Malaysia and Singapore, made with Sofia Backstage® products. 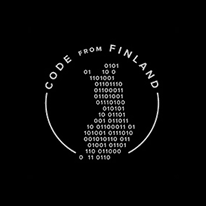 Mr. Mika Kanerva, the company’s COO will be speaking about “New hybrid digital TV services” at Thursday 9th March afternoon. Sofia Digital is in co-operation with ADB and presenting together in ABU 2017. The purpose for the co-operation is to provide support for HbbTV apps and operator customized applications in DVB-T2, cable and Satellite set-top-boxes. The companies complement each other’s offering, whilst ADB provides solutions for personal TV, business TV, broadband and IoT using their Connected Solutions based on their award-winning software platform, Sofia Digital offers a full PSI/SI, EPG, and HbbTV head-end solution for any DVB-network with MYTV Malaysia as a reference customer case. Sofia Digital has developed new Digital TV services for Malaysian biggest commercial TV broadcaster, Media Prima Bhd. New TV services are based to Sofia Backstage® products family and using HbbTV standard that is part of Malaysian DTTV specification. The latest HbbTV technology and TV applications was trialled at Kuala Lumpur in Anugerah Juara Lagu (AJL) song contest in January 2017. New services in digital terrestrial channel TV3 running in televisions compatible with HbbTV standard, like for example Sony, Panasonic, LG, allow digital TV users to select extra live video feeds like for example alternative camera angles or branded artist insight views and various other extra services over broadband Internet connection in addition to regular broadcasted TV feed directly from their TV remote controller without any new installations. Sofia Digital has launched updated website with new visual look and feel. Check out the latest news and updated product information within the site. Sofia Digital’s new Sofia Backstage® Author, a tool for developing smart TV apps and interactive content for HbbTV, has been deployed by customers with success. Its use is most active in Malaysia, where tens of new applications have been developed and launched using the Sofia Backstage® Author in one year’s time. Interactive television lacks simple tools to author new applications and services. Coding and web development skills are needed, setting the new service development barrier high. 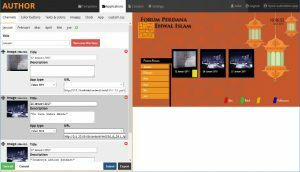 Thanks to the rapidly grown HbbTV market and Sofia Digital’s long history in the field of interactive television, web-browser based simple application authoring is now possible. Applications can come through IP or from HbbTV carousel when the return channel connection is not available. 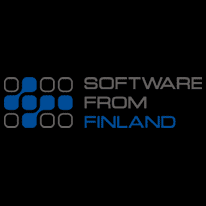 Sofia Backstage® Author is provided as SaaS and it allows template-based application development and editing of existing earlier published applications. In addition to simple templates it is possible to develop customer specific, more complex application templates, which can then be tailored with the tool. Sofia Backstage® Author enables e.g. rapid editing daily changing advertisements or information views containing static content. Templates may include dynamic content elements as well, like weather data and banner advertising. In Applications view it is possible to edit and republish the existing application. Applications developed with Sofia Backstage® Author can be easily integrated to any web monitoring tool such as Google Analytics. SOMESCREEN® is a cloud-based service, which brings social media discussions and image feeds as a moderated content to different displays. People send tweets and Instagram messages with their favourite applications. 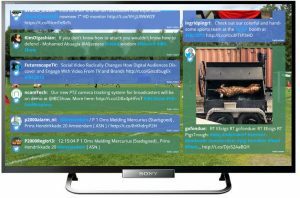 SOMESCREEN® manager just needs to define the desired #hashtags and @users to follow and then moderate the incoming feed to publish it on desired displays. SOMESCREEN® contains modern tools to manage real-time voting in addition to extremely simple and intuitive moderation functions. Absolutely no additional hardware investments are needed to run the service. http://some-screen.com. 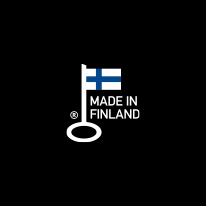 SOMESCREEN® for HbbTV is already in use in Finland (see the “Liiga” PR) and Malaysia.